**** Chosen by Winner: Richard H.
All the versatility of the famed WK Belt Knife but with a smaller profile. It is well suited to processing game and most everyday cutting chores. 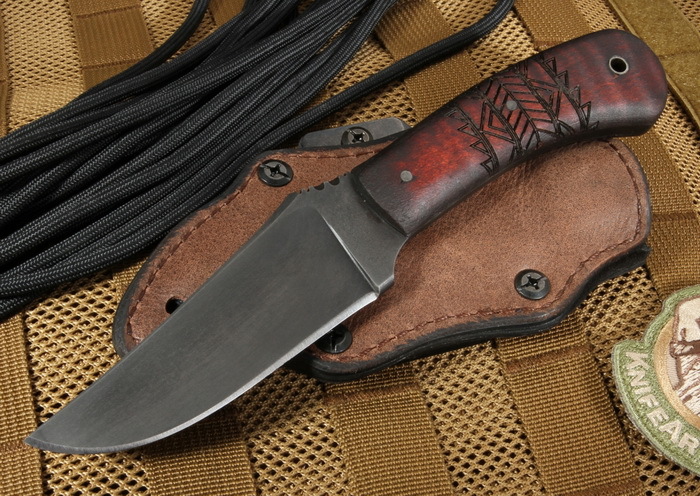 This donation Blue Ridge Hunter has a Maple Handle with Tribal Handle Treatment.